Jeltje’s family migrated to Australia in 1963, first settling in Melbourne, then the North Sydney suburb of Lindfield. Princes by night is clearly autobiographical, but not narrowly so. In one of its many dimensions, it is as much about the process of remembering, as it is about specific memories. More than this, it insists upon always engaging with a much larger reality than the purely personal. The entire energy of the book flows outward, a widening connection with key places; and with people too, all sympathetically grounded in their own personal reality, their unique life context, and historical moment. Princes by night contains 40 poems, and their average length is about a page and a half. The poems are all related, and inter-related. Collectively, they tell a story, indeed many stories. 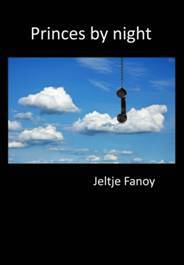 To start with, the book’s cover shows an old-fashioned telephone, dangling invitingly from the clouds. (Incidentally, good-hearted humour is another thread which unites this book.) This image refers to the very first poem, titled ‘Hey father…!’ in which the poet is woken from sleep by her Dad, as he joyfully telephones her: from the hereafter. In a way, that is what a vivid memory can feel like. Like a re-union across space and time. The book itself is a sort of family re-union, with, the living and the dead all brought back together, and meeting here, in its welcoming pages. An early poem seems foundational, setting the stage for subsequent poems. In ‘The unnamed relatives’, Jeltje and her father discuss family photos, some set in the Dutch West Indies, where generations of the family, including cousins, aunts, grandparents, servants and cooks, were all part of a former colonial military and administrative world. to where the servants lived. On the other side of this precise cultural and class divide, far from “…the cool Assistant Regents’ House”, and its “…towering mosquito-netted opulence”, a servant named Zain impressed the boys with his skills in oratory, while Zain’s wife served them fiery, spicy and delicious local fare. This was a revelation for the young escapees, who would then be entertained with funny stories, and listen spellbound to tales from the Kumbang Hitam, tales accompanied on the genggong (or Balinese-style jaw harp). Now, Kumbang Hitam means ‘black beetle’, a large earth-burrowing insect, spectacularly obsidian-carapaced, associated with mysticism and sorcery, and regarded in the mythology of many peoples as an intermediary between sky and earth, between reality and dreams. Appropriately here, the mysterious black beetle is an intermediary between cultures, which can seem reciprocally dream-like, one to the other. In other poems, too, some of the half-suppressed or surrounding ethos of colonial violence can well up, as if volcanically, into otherwise serene domestic family relationships. We know terrible atrocities were committed by early Dutch planters and plunderers, particularly in Aceh, but this fact is certainly not dodged. Indeed, an ancestral Fanoy wrote an authoritative expose, a plea for humane policy. Memories remain mixed in Princes by night. Many have a positive, even joyous, up-close immediacy; and then, and even perhaps in the very next line, subside almost back into silence, as part of a far-away almost never-was past. The rhythmic occurrence of both these registrations of memory is subject matter of some highly reflective and effective poems, such as ‘Far away (talking) Blues’. In ‘Eating katjang story’ (‘katjang’ is Indonesian for peanuts) we are told how Jeltje’s grandfather made a crystal set radio, and: “…it would take ages to tune in / to far-away, strange-sounding signals…” Such an apt trope, I think, for Jeltje’s own accurate re-tuning-in to an obscure and exotic corner of the now, seemingly long-ago-faded Dutch empire! But, as she affirms, history is ever with us. In another poem we also learn how Jeltje’s grandfather, after his much-loved wife died, then locked himself in his study, drinking beer and playing the same song on a wind-up gramophone, over and over again, for almost a year: Irving Berlin’s ‘Blue Skies’, sung by Josephine Baker. That Jeltje’s ancestors were cross-cultural inhabitants of diverse and disparate worlds is affirmed everywhere. In some ways, they appear forbears of a cross-cultural modernity, one – optimistically – now a celebrated norm. There are some touching portraits of these various Baboes. In one poem, a Dutch journalist who telephones Jeltje’s mother, confesses somewhat dramatically that her Baboe was the only person she ever loved. Eventually, we learn how Jeltje’s father left Indonesia during the war years, to fight with the Resistance against the Nazi occupation of Holland. After many close escapes, he joined the exiled Dutch Navy. But his ship was hit by a Japanese torpedo, and later repaired at Cockatoo Island, on Sydney’s Parramatta River. After all these ordeals, Jeltje’s father was administered electric shock treatments (E.C.T.) by the Dutch Navy, and granted an Honourable Discharge. He returned again to Holland (Jeltje herself was born in Amsterdam) before the family moved to Australia. His earlier stay in Sydney, apparently, had left lasting memories, and Jeltje’s father now believed – with an almost celebratory optimism – in making a peaceful life afresh. Unfortunately, he then suffered increasingly from amnesia, probably due to the E.C.T. Princes by night can be seen as a labour of love, with Jeltje attempting to restore, though its historically-re-echoing pages, the memory of her amnesiac father, to reinstate a lost subjectivity. Certainly her father’s portrait emerges as central to this book, amidst many significant portraits. This sparkling constellation of poems – each short and sweet, and seemingly simple on the surface – cuts deeply into memory and history: and very succinctly, employing that unique poetic dimension, of resonance. There is therefore – and necessarily so – much left unsaid, implied, partly sketched; all generously prompting one’s own research, and inviting completion of the historical jig-saw. Finally, some poems pose puzzles and questions, while others leave clues and cues, thus suggesting ways for things to be resolved, as in classical story telling. But I won’t offer a spoiler, by explaining or revealing too much. Simply buy and read the book, and enjoy its fascinating journey. 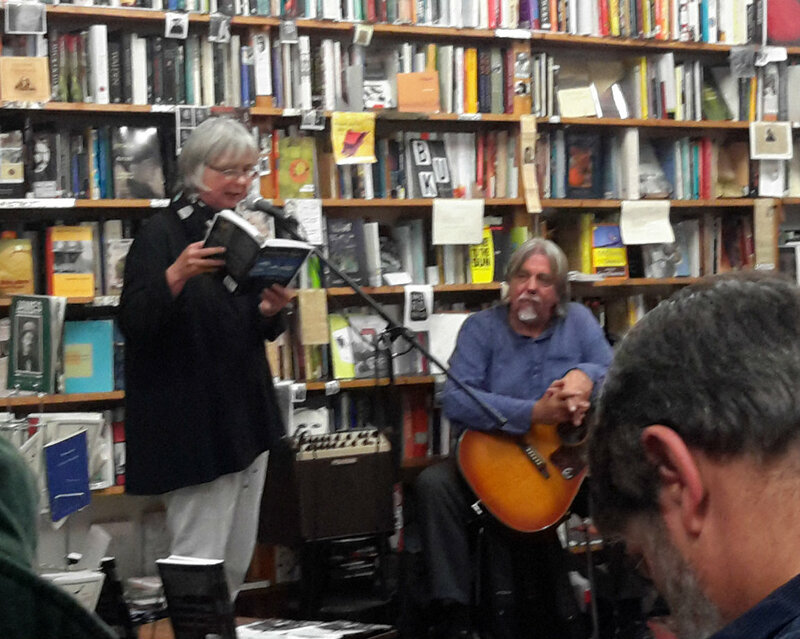 John Jenkins writes poetry, and on music, travel and the arts. He authored, co-written or edited twenty-four books. In a previous lifetime he was a journalist and part-time academic. John is currently working on a book of short stories, and a non-fiction book on his favourite film directors. This entry was posted in Island Press, Issue 14, Jeltje Fanoy, John Jenkins, Princes by night and tagged Australian Literature, Australian poetry, Dutch West Indies, poetry by Mark Roberts. Bookmark the permalink.